Wilson Laidler & Co. Ltd are drainage experts with a wealth of industry experience to help you with a whole manner of requirements. 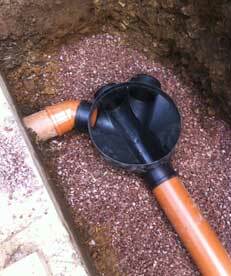 We can work with you to install new drains, repair existing runs, and even clear blockages. What’s more, we are a licensed waste carrier, which means you can rest assured in the knowledge you are working with a trustworthy company and that any waste will be dealt with responsibly. If you would like to hear more about our drainage services throughout Sheffield, please call us on 0114 248 1158 or fill out our simple contact form. 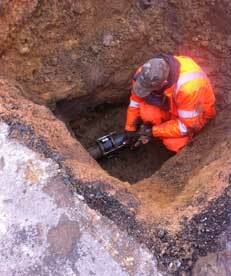 Our drainage services are all-encompassing to be sure that your project can be carried out by one contractor. We aim to be able to help with your project from start to finish. If you have an issue with blocked drains, Wilson Laidler & Co. Ltd can help you alleviate the problem and resume normality. We all understand that the inconvenience of a blocked drain is unpleasant, so our professional team is committed to resolved the issue swiftly and responsibly. We utilise state of the art equipment to get the job done, which includes utilising CCTV cameras to identify the issue. We can also provide a DVD with this footage if you are interested in learning more about your blocked drain issue. If you are looking for a quick and efficient drainage contractor in Sheffield that can help with the installation of new drains as well as dealing blocked drains, look no further than Wilson Laidler & Co. Ltd. Call us today on 0114 248 1158 or fill out our simple contact form and a member of our team will be able to help with your enquiry.